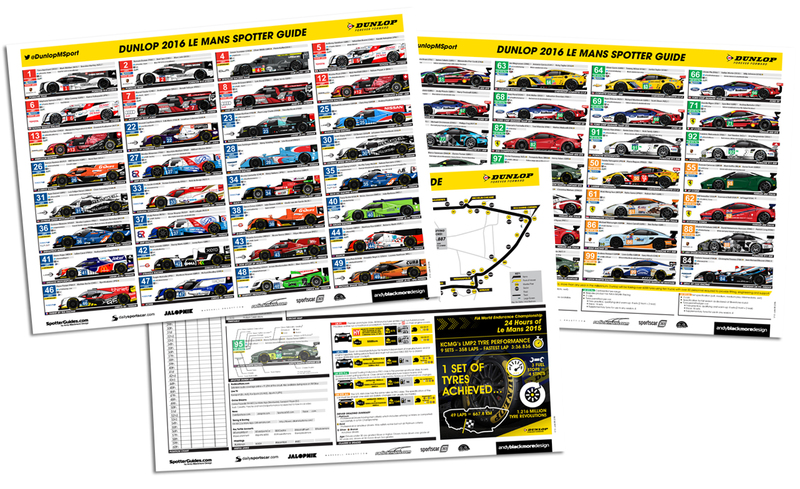 Thank you for your support of the Dunlop Le Mans Spotter Guide. Thanks to all the teams for their help, to all the media partners who helped spread the word, the proof reading team and anyone who downloaded or supported the guides. Finally, thanks to Dunlop. Without their support, there would be no guide. The guides take tens of hours to produce, so appreciare their support. 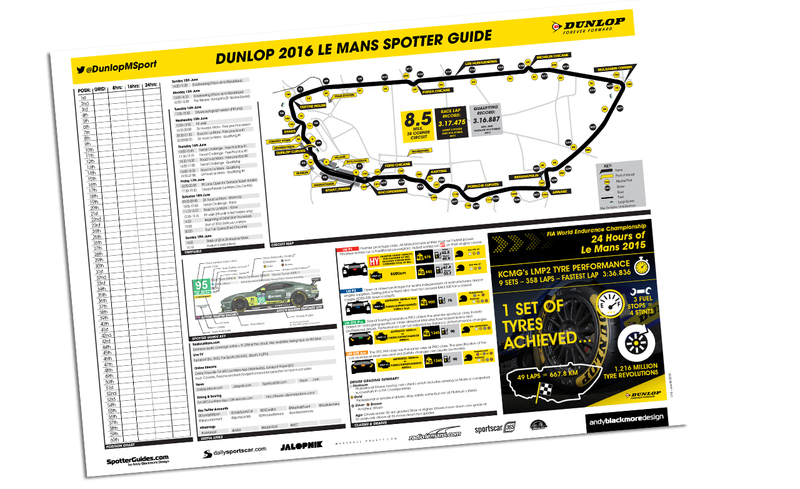 Pleased to confirm, the SpotterGuides.com Le Mans Spotter Guide will return for 2017, thanks again to Dunlop!. 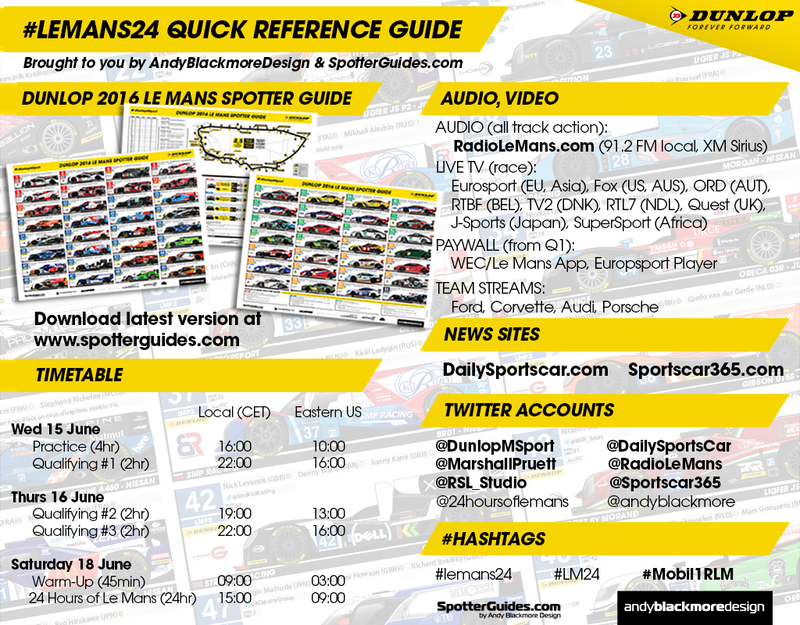 Welcome to the Dunlop 2016 Le Mans Spotter Guide, the most up to date and detailed visual resource to follow the 2016 Le Mans 24 Hours. 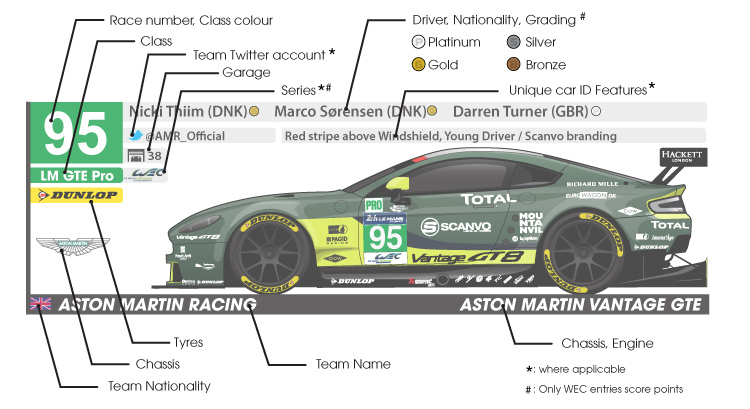 Created by Andy Blackmore Design, the 9th Edition of the Le Mans Spotter Guide features all the information you need while following Le Mans, from the track or home. Version 2 of the Guide, following Scrutineering, is now available to download. The biggest changes are revised liveries to #27, #33, #49 cars and update on individual car markings for the Rebellions (Mirror colours swapped) and Audi). Change-list at the bottom of the page. You can download the latest version of the Dunlop 2016 Le Mans Spotter Guide HERE (three page PDF). Should any major team, driver or livery changes occur later this week, the guide WILL be updated. No point having an inaccurate or out of date guide…. As with previous years, the guide will feature all the information you need. From Chassis details to driver grading and Pit garage allocation and Twitter handle, everything is covered making this the one resource to have at your fingertips. The third page of the guide also features a map, timetable class guide and other useful information. New for this year is a Lap Position Chart which has been requested by a number of users. For Version 2, I’ve also added Timing Splits and Safety Car locations. I have also added a reference guide sheet for you to use or share (hint hint) on Social Media). Special thanks to my proof reading team of Shea Adam, Paul Marquardt, Marcel ten Catt, Daniel Hounsell, Marshall Pruett, Adam and Anna Prescott. They did an awesome job going through the guide in detail. Also, huge thanks to my media partners who continue to support and promote the guide. Thank you to the majority of teams who assisted with the guide. Really appreciate their help. Feel free to use this advert to spread the word…. 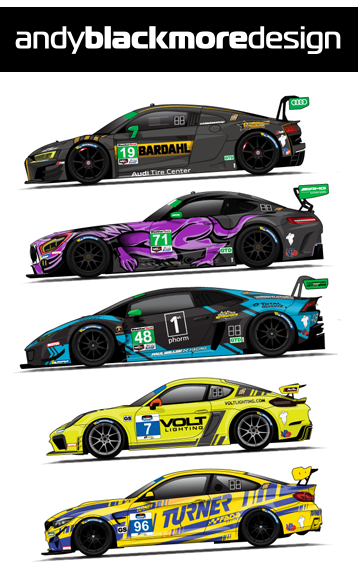 Many livery updates, most significant Panis-Barthez, Michael Shank Racing, Eurasia and Risi Compeitizone.